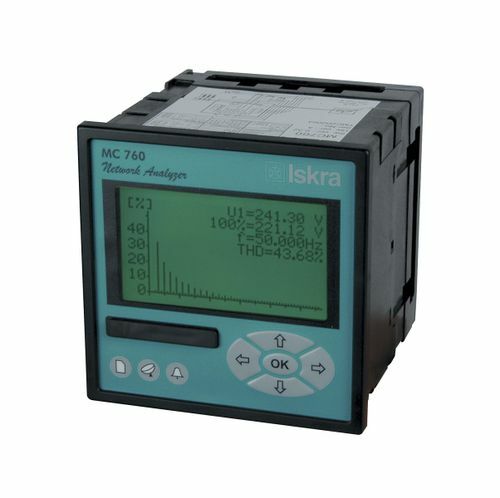 Electrical network analyzer / power / voltage / harmonic - MC 7x0 - Iskra d.d. Metrology - Laboratory > Analytical Instrumentation > Electrical network analyzer > Iskra d.d. The meters are intended for measuring, analysing and monitoring single-phase or three-phase electrical power network. The meter measures RMS value according to the principle of fast sampling of voltage and current signals. A built-in microprocessor calculates measurands (voltage, current, frequency, energy, power, power factor, THD phase angles, etc.) from the measured signals.